J got one of his birthday gifts early this year. 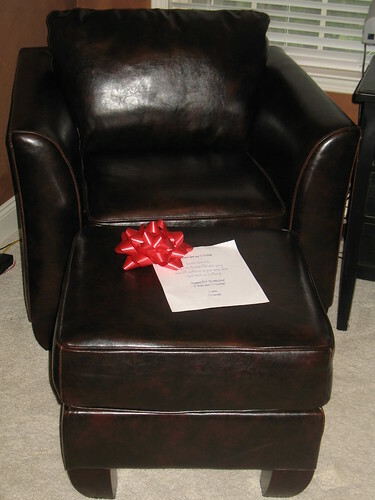 This is the big 3-0 for him, so Garrett decided to buy him something extra special. 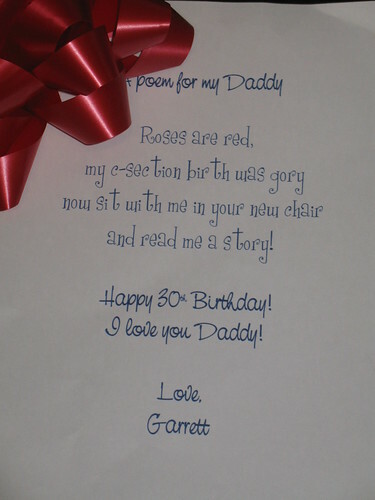 Here is the poem G wrote for his daddy. Fabulous.!! Really a great birthday gift idea. Nice poem..